There are some who feel that performance cars today have become a little fey. They long for the days when a fast car had something about it, a hairy-chested vitality that let you know you were in for a wild ride. Some manufacturers have kept that spirit alive and made a tidy sideline in offering big-hearted performance cars. All too often, however, they're not really the sort of machines that can be recommended as a used purchase. Here's one that is. 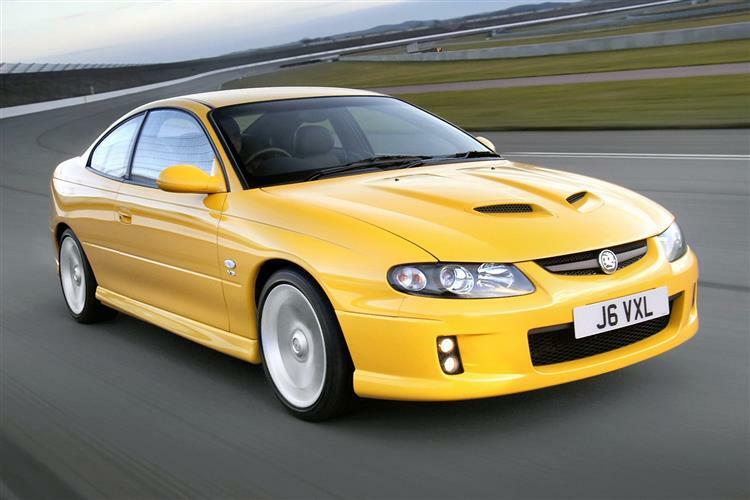 Vauxhall's Monaro wears its heart on its sleeve. It's a beefy coupe powered by a huge V8 engine with a proper rear wheel drive chassis and huge performance. You sit on the correct side and it won't throw a hissy fit if asked to start on a cold morning. 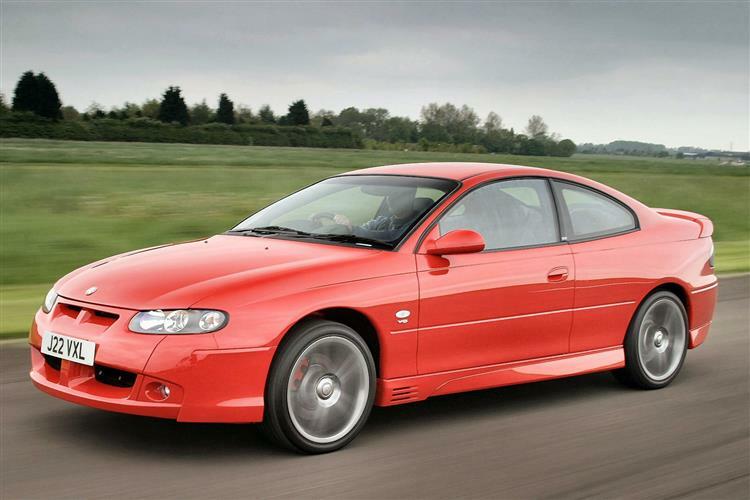 Prior to arriving the in the UK, the Monaro had been on sale for many years in Australia, badged as a Holden. It was only in April 2004 that the first 5.7-litre models were offered for sale under the official Vauxhall badge here in the UK. It was a toe in the water in many respects, as this was uncharted territory for Vauxhall. Yes, they had offered a 150mph+ coupe in the past in the form of the Calibra Turbo, but next to a Monaro, a Calibra looks flyweight. Big and brash, the 329bhp Monaro was an instant hit, chiefly among drivers who had owned vehicles like a Subaru Impreza WRX or a Mitsubishi Evo and wanted something a bit brawnier. Within three months, Vauxhall had sold their entire quota and demand was still strong. Fortunately, their newly formed VXR performance arm came to the rescue, offering a hopped-up version that won instant acclaim. With 382bhp at its disposal, this was a seriously rapid car and the fitment of more aggressive wheels, spoilers and interior trim also endeared it to the target market. Changes were soon to be made, however. In April 2005, the Monaro VXR got yet another shot in the arm, this time round by having its 5.7-litre engine enlarged to fully 6.0-litres. This upped power output to 403bhp while the 5.7-litre engine in the normal entry-level car got a few tweaks to lift its figure to 354bhp. Some mild styling and design changes were also visited upon the car. Given the strong demand, Vauxhall have never had access to quite as many Monaros as they would have liked and production ceased in February 2006 with the last stock reaching UK shores in September '06. Subtle it's most certainly not. When Vauxhall's Monaro hoved into view, it appeared about as refined as a party with Sir Les Patterson. With a woofling V8 engine and a more attitude than an Aussie fast bowler, it looked a long way from home on the mean streets of Luton. Despite the fact that it's clearly not playing on home turf, the Monaro offers rough and ready charm by the bucketload at a surprisingly affordable price. The interior is a good deal more accomplished than you'd probably expect with a big kit list and some nicely finished detailing. The seats are huge and very comfortable and the steering wheel is similarly massive. Even the buttons on the fascia appear to have been supersized. There's a fair amount of room in the back and the boot is huge in early versions. Later models have a much smaller boot due to a relocation of the fuel tank. It's said that a cockroach is the only thing that could survive a nuclear holocaust but the Vauxhall Monaro must stand a pretty good chance. It's seriously over engineered. That engine is a development of the small-block Corvette powerplant, and as such, has had the benefit of fifty years of fine tuning to get it where it is today. Even the VXR's lump operates in a relatively lowly stressed state and as long as you keep them topped up with fluids, an engine like this will just keep on trucking. The rest of the package virtually looks after itself. There aren't too many high tech touches and the interior is built to last, with switchgear that even the most demented two year old would have trouble destroying. What prospective used purchasers will need to look out for are cars that have been thrashed hard. The Monaro is a big heavy thing and as such, puts a lot of energy into its suspension and tyres when cornered with enthusiasm. As such, some cars can feel a little baggy and tyres aren't cheap to replace. Replacement shocks and bushings usually return the car to a tight showroom feel. (approx based on a 2004 Monaro 5.7) Although you'll only need to service the big Vauxhall every 10,000 miles, this puts a premium on making sure that you use decent quality consumables. As such, expect to pay around £12 for an air filter, £15 for a fuel filter and a mere £5 for an oil filter. Spark plugs are around £8 each. Just don't mention tyres. Turn the key and the engine woofles into life, each prod of the accelerator rocking the car on its springs as the reaction of 343lb/ft of torque makes its presence felt. You get 376Ibft with the VXR. Either way, that's a lot of torque. A BMW M3 manages 269b/ft but the Vauxhall's acceleration is a little less percussive than this missile by dint of its 1650kg kerb weight. It's a very big car. Should you disable the traction control, that amount of torque is easily enough to light the rear tyres up with only a gentle prod of the throttle from idle. Get a little more ambitious and you'll find the steering nicely geared to catch big, lazy slides although you'll need a lot of room - preferably a runway or racetrack - in order to pull this sort of move. Everything about the Monaro reminds you of its hefty physicality. The clutch requires a hefty shove, as do the brakes and the gear lever as you guide it around the six-speed box. Sixth is massively high geared, which means that the Monaro can cruise at nearly 90mph with just 1,800rpm showing on the clock. This makes it a good deal more economical than many other cars with comparable power. Try averaging the Monaro's 23.7mpg in a Mitsubishi Lancer Evo! It's on typical British B-roads that you expect the Monaro to fall down. Yes, it's doubtless a magnificent thing on a sweeping A-road or bullying its way through outside lane traffic on the M1 but when it comes to mixing it on a bumpy cross country route, something that big and bulky is going to struggle. Or so we figured. In fact the Monaro felt very composed, the body control being exemplary for such a big bruiser. Where it should have been grounding out, pitching, rolling and generally making its occupants thoroughly green about the gills, it stuck to its task with game resolve. Yes, the car's width does get a little daunting on narrower lanes but the steering is direct enough that you soon build confidence at threading it through the tightest gaps, relishing the horror on the faces of oncoming drivers as this heavy-calibre bullet arrows towards them. The Monaro makes a very sound used buy, especially if you can track down a previous owner more seduced by the look and sound than the way the car handles on the limit. It's tough to finger an individual model as the pick of the bunch because they've all got something to be said for them, but if pressed, an early VXR would be our choice.